A promotional video for Wikipedia on YouTube highlights the stories of a few of the organization’s volunteers, including one man who recalls an immediate thrill: “I edited the first time and I think I got addicted to it,” he says. Searching for a logical explanation for what might sound to many as an illogical commitment, he adds with a smile, “I don’t get paid anything. I just do it for something to do in my free time.” Founder Jimmy Wales’s underlying familiarity with and respect for the dedication of the 80,000 individual volunteers like this man has equipped Wikipedia’s “community” with a distinct sense of shared ownership and decision-making power. In her New York Times Magazine profile, Amy Chozick highlights Wales’s multitasking abilities, which have enabled him to keep many balls in the air over the past twelve years, and at least one eye on the concerns of the individuals, paid and not, who he acknowledges have catapulted the organization’s growth. A quick look at the Wikimedia Foundation’s 2011-2012 Annual Report explains why a knack to multitask is particularly valuable for Wales right now. Wikipedia is the fifth most-visited Web site globally (and the only nonprofit on the top 40 list), generating 19 billion page views monthly to more than 23 million articles in 285 languages. 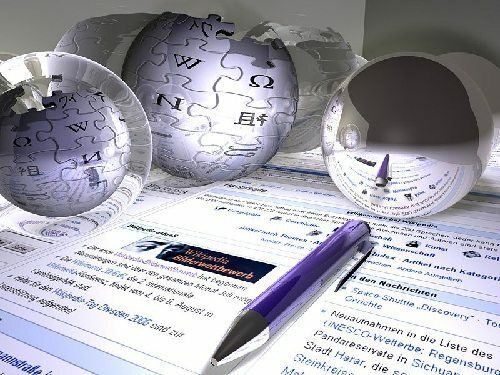 As a road map through 2015, Wikimedia’s Strategic Plan lists increasing the total number of users to 1 billion and increasing the number of available articles to 50 million as key goals.